One of the great things about Aspen Snowmass is that they allow “uphilling” at their four ski areas. And the spring conditions which abound right now are perfect for this activity. 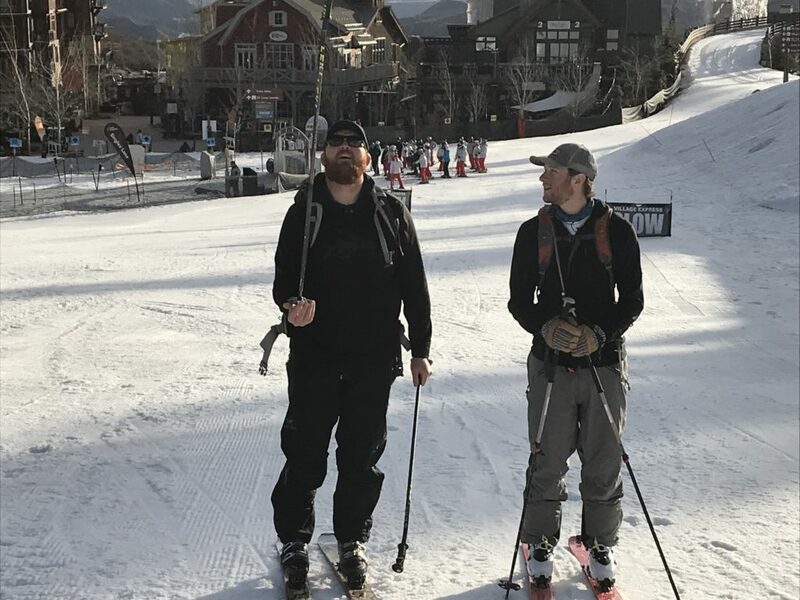 Enjoy our latest video showcasing EWP’s seasoned skinners, Charlie Singer and Travis Lindahl, as they hit the slopes before work – it’s Charlie’s 87th day! They’ve made it a morning ritual to skin up to the top of Big Burn before work, making the glide down even more rewarding than if they’ve taken the lifts. Of course, the ultimate reward at the end makes it even more worthwhile for these two (teaser alert: you’ll have to watch the video to see the reward)! Here are a few skinning tips from the Aspen Snowmass website to assure that you have a fun and safe adventure. • Remain visible at all times and be aware of any downhill traffic. • Stay on the side of the trail. • Obey all on-mountain signage – including closed runs. • Watch out for all snowmaking equipment and be on guard for snowmobiles and snowcats. • Dogs are not permitted during operational hours. • Adams Avenue is closed to uphill traffic. • All uphillers must have a valid lift ticket or pass to ride any lifts. • Finally, bring a buddy and have a great workout!